In 2009, Alejandro Gomez Stubbs launched Malagana Design, transforming bold and distinctive designs into elegant high-end furniture. The studio started off designing custom furniture, and launched the Equilibrium bookcase in the fall of 2010. Rapidly catching the attention of the public and the media, the innovative design gave the young studio an opportunity to create its own design language among the international design community. In three short years, Malagana Design has garnered impressive press and award coverage. The studio has been featured in over forty international publications, including two books, and the Equilibrium bookcase has been nominated for the Lápiz de Acero Award (Colombia), the WAN Award (UK) and the Bienal Iberoamericana de Diseño (Spain). Malagana was recently invited to launch its newest balanced system, Equity at Tendence, in Germany as well as at Tokyo, 's Designers Week in Japan. Gomez Stubbs was featured in the May 2013 edition of Dwell magazine, 's second Annual Young Guns roundup, a review of over seventy of the best and brightest emerging international designers. 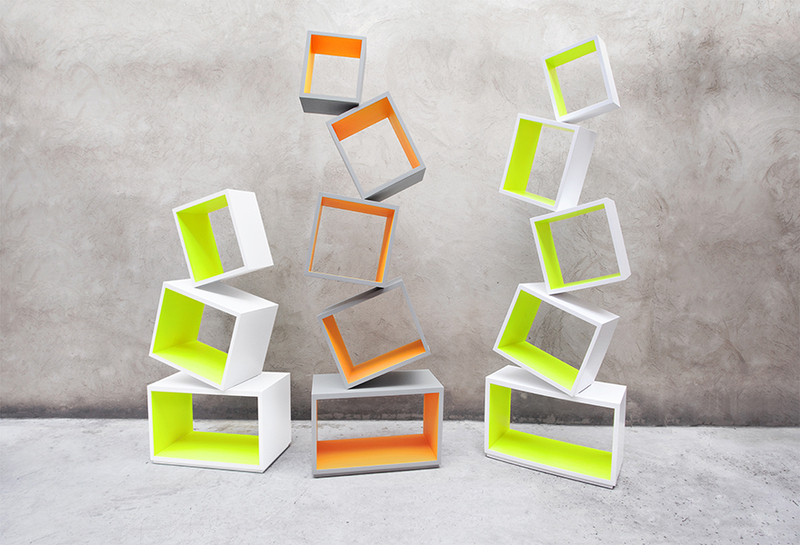 With its cantilevered modules stacked upon each other at a single angled point, Equilibrium is a unique furniture piece that immediately catches attention by creating a sense of amusement and surprise. Equilibrium holds more than 160lbs of weight and its different modules allow to keep books and magazines organized in a natural tilted position that eliminates the need for bookends. Equilibrium has won a series of international design awards, including the Lápiz de Acero Award and Design+Modern+Function Award.